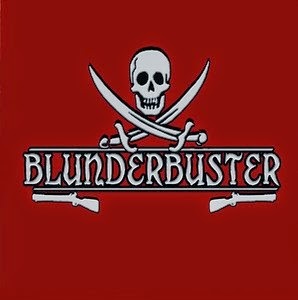 Who the Hell are Blunderbuster? 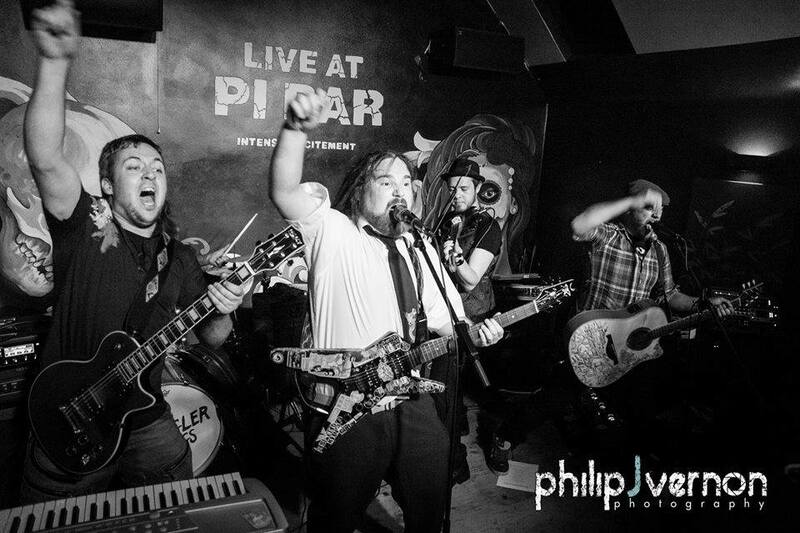 Blunderbuster are a 5-piece Midlands-based celtic-punk band, seamlessly blending the memorable melodies and hooks of traditional Irish folk music with the upbeat rhythms and heavy guitars of punk and metal! Formed in the summer of 2010 Blunderbuster’s core members have 5-years experience of continuous live performances as a unit, with each of the current members bringing further music industry experience to the table. They also recorded a 5-track self-produced, self-titled EP which we reviewed back in and you can read here. Although the band have experienced various line-up changes and the death of longtime fiddle slayer Hywell, they’ve managed to keep the momentum going, finally finding the final two cogs to complete the machine. Baden on drums and Cora on fiddle make up the latest rendition of Blunderbuster, forming a real good feel and chemistry previously unseen inside the band’s anatomy. So we’re hoping that you guys could each pledge a little from your own pockets to help us see this production idea become a real full album release. We realise this is a lot to ask but being funded by lovers of music makes this whole thing seem more real and worthwhile. And, of course, the more invested the fans are, the more it means that we have to get this right and make something especially awesome for you all to enjoy! By now you must be wondering what we’ll be getting for all this money? Well, the final product is a full length studio album, which we hope to be somewhere between 8 and 12 tracks. There will be an initial run of 200 physical copies, complete with a full printed booklet and some fancy looking artwork. Our music will be sent off for ‘digital’ distribution on iTunes, Amazon MP3, we’ll probably end up on Spotify and all of the other digital music platforms too. There will also be t-shirts and maybe even hats! But most of all we’ll be getting the satisfaction that you guys, as fans, want to hear something that we’ve made – and that’s pretty special to us because without fans none of this would be happening and it wouldn’t be possible! We’ll be spending 10 days in the studio. There’s no strict 9-5 working hours policy, so we can get productive whenever we like. If we’re feeling noisy and creative at 3am, then great – let’s go make an album! If we’re feeling productive at 7pm then great – let’s go make an album! You get the picture. So thanks a lot for reading this, please share this page if you have Facebook, twitter or any other social media platform and we’ll hopefully be presenting you with an album soon! for Blunderbuster’s First Full-Length Album! and the celtic-punk family!